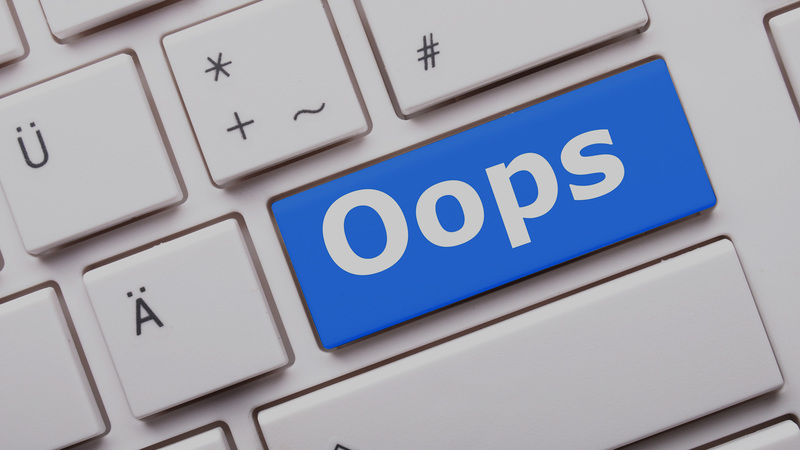 Blog / Small Mistakes can be Costly! Today I wanted to talk a little bit about Email. Okay, maybe “Talk” isn’t the right word; how about “Rant”? Well, Email is an amazing tool, a wonderful method of communication. Pretty much every single company in the world makes use of it, to some degree. Also, many people don’t seem to know how it works. Do you know what BCC means and how it works? How can this link to https://www.Google.ca not actually send me to Google? How can an Email written in Russian show up in perfect English? If you couldn’t answer all these questions, I’d say you still have more to learn about how email works. Being able to answer two of them, I’d consider that a pass, but still ‘needs improvement’. The simple truth of the matter is that there are a lot of people who really don’t understand how email works. This is important, because not having good email skills can be costly, very costly. How does fine of 200,000 British pounds (343,000 CAD) sound for using TO rather than BCC sound? A small, yet very costly mistake. Also, one that was easily avoidable with a little bit of education and awareness. The reason these methods can be so successful is largely due to a lack of real understanding about how email works. This is true for end Users, but also a lot of email Administrators (I spent a few years doing Technical Support for a large company and became one of their Anti-Spam Gurus.) Everything from how emails get displayed, to how spam detection works, and how email gets delivered, is a magical black box to a lot of individuals. If you’re getting into a vehicle, nobody trusts their life to someone without a license. Yet, people blindly trust their company emails to people without any skills in that area and think nothing of it. Treat Email as what it is: a powerful and flexible communications tool that can cause a lot of harm, when used improperly or maliciously. Now I’m not advocating a license to use email. The car driving example was just that: an example. My message today is the same as always: Education and Awareness. The prevailing attitude out there is that Email skills are a given and everyone “understands it.” This is simply not true, and the sooner organizations recognize this, the sooner they can take steps to improve and better protect themselves. If you have any questions about Email or Spam Filtering, please reach out to your TRINUS Account Manager for some stress-free IT.